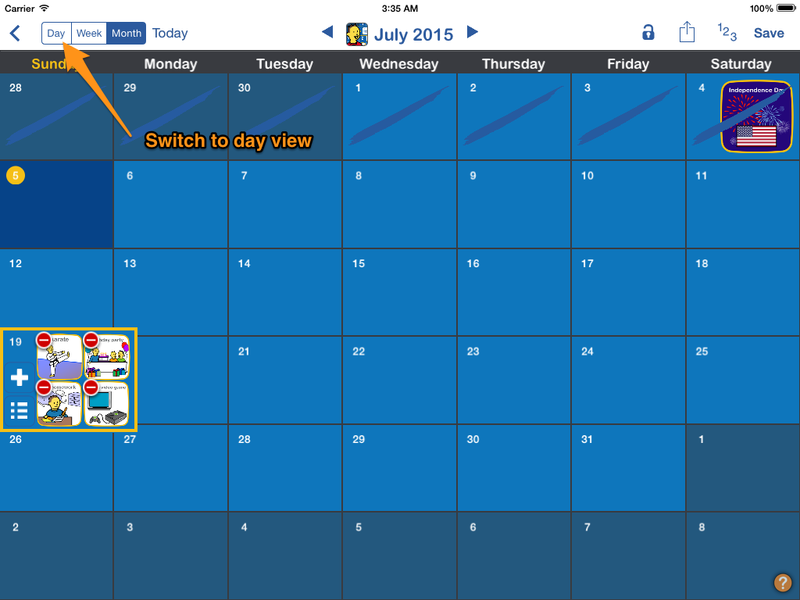 You can easily change the order of events using the day view of your Calendar. 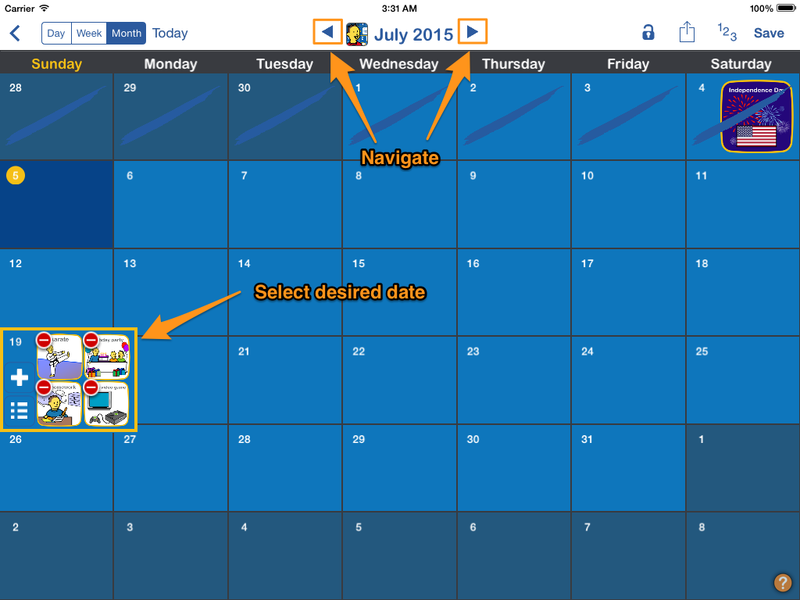 Use the left and right arrows on the top to move the calendar view forward or backward in time until the desired day is in view. 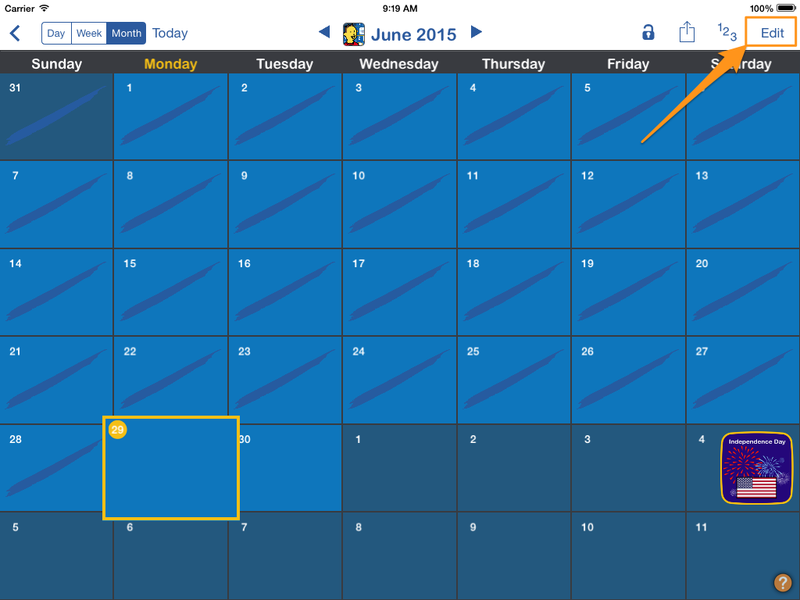 Tap on the day with the events that you want to reorder. A yellow box will highlight your selection. Change the view to Day view by tapping the 'Day' button near the top left. Events with a Time value will be ordered by time automatically. 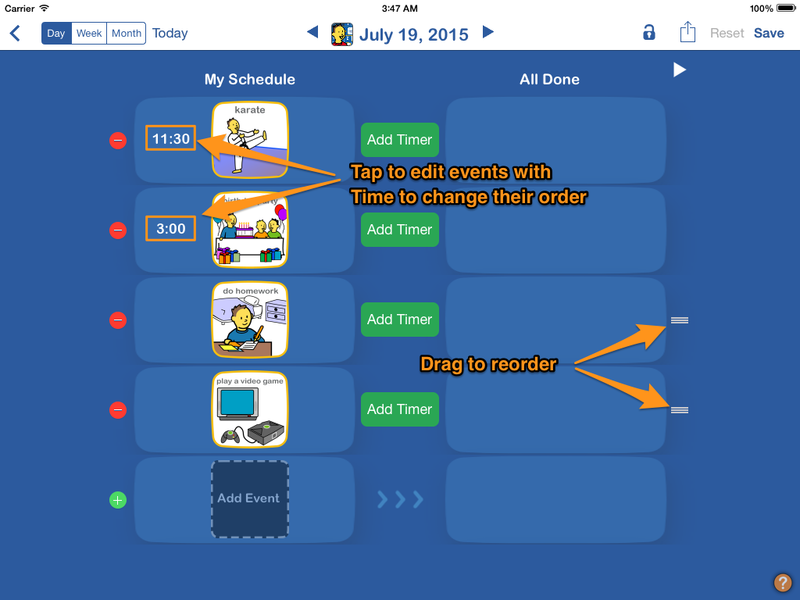 To change the order of these events, tap to edit and then adjust their Time field to new value. For events that do not have a time, drag the gray 'Dragger' on the right side to reorder them. Note: When reordering a repeat event, changes in order only effect the date on which it was reordered.